In this paper the method of increasing the efficiency of the geodynamic control by introducing new geoelectrical models. Geoelectrical model developed geoelectric section and surface irregularities into account the effect of temperature and humidity on the change in the conductivity of the soil. Criteria of evaluation of the effectiveness of automated controls. The choice of statistical test for evaluating the effectiveness of the geodynamic control. The evaluation of the effectiveness of the geodynamic control, developed on the basis of the proposed geoelectrical models. Shown that the use of new models in the geodynamic system control and monitoring to reduce the risk of false detection at 0.08 and increase the probability of correct detection even when the signal / noise ratio 16.25 dB. Thus, the application of the proposed geoelectrical models made it possible to increase the efficiency of the geodynamic control. Keywords: geoelectric monitoring system, monitoring system, geo-ecology, geo-ecological monitoring, geoelectric model, efficiency, effectiveness. Dorofeyev N.V., Orekhov A.A. Building geographic information-analytic systems for environmental monitoring // Algorithms, methods and systems of data processing, 2012, №. 2 (20). Orekhov A.A., Dorofeev N.V. The organizational structure of geo-environmental monitoring of geodynamic objects // Technology Technosphere Safety, 2012, № 4 (44). Zhdanov M.S. Electromagnetic exploration. – M: Nedra, 1986. Pritula V.V. Corrosion of underground pipelines and tanks – M: Akela, 2003. Kuzichkin O.R., Kuligin M.N., Kalinkina N.E. Steady-state model of the lower half with geoelectric monitoring environment. // Proceedings of the Murom scientists. – Murom, 2001. 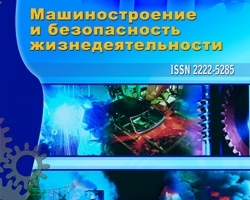 Dorofeev N.V., Increase the efficiency of the geodynamic control through the introduction of new geoelectric models, №3 (13) 2012, Orekhov A.A.